Are you looking for a way to organize your child’s desk? 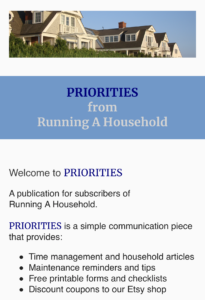 Check out these ideas, which are simple to set up, and easy for children to maintain. Consider using various colors to keep the desk organized and cheerful. The key to having a neat and orderly desk for a child is to keep the top of the desk clear and free. Plan to have 4-5 items that remain on the desk. Everything else will need another home. 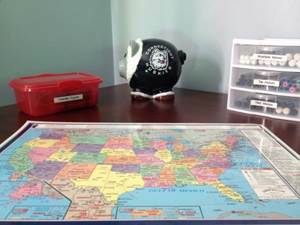 Laminated desk blotter with map of the U.S.
Now it’s time to find a place to store all of the other desk items. 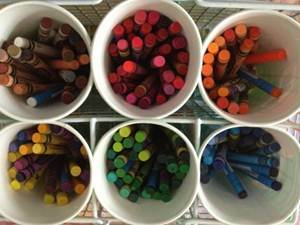 Pens, pencils, and other supplies can go in bins or baskets inside of the desk. We have one bin for regular pencils. 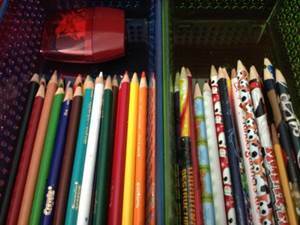 There is a second bin for colored pencils and a pencil sharpener. You can find great bins and baskets at the dollar stores. Or, when shopping for holiday gifts, select items that can be used again as storage containers. For example, we have a great sports themed pail that we received at Easter. We keep our painting supplies in it now. A small plastic storage unit with three drawers is helpful when you have a lot of supplies. We use our unit for markers. 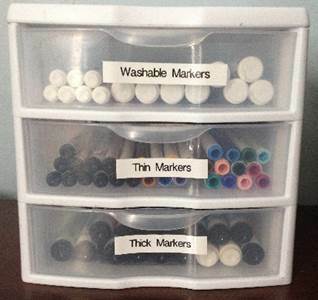 There is a drawer for thin markers, thick markers and washable markers. Paper can also go inside one of the desk drawers. Consider using hanging files with labels. Green – Finished Work: We adopted this system from school. All finished drawings that we want to keep go into the green folder. By tucking paper items in a drawer, it helps to keep the desk free and clear. 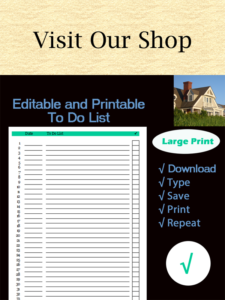 The hanging folders make it easy to locate items, and simple to put things away. For some reason, putting crayons back in the box doesn’t work at our house. Instead, we found that having the crayons in a caddy actually works better. The kids can see all of the colors, and it’s easy to clean up. Our caddy has a handle on top, so it’s easy to carry the crayons to another room. Keep it simple: You’ll want to keep things simple, so that your child can stick with it. By keeping things simple, it will be easier for your child to maintain. Be flexible: Organize the desk, and use the systems for a few weeks. Remind your child to clean up when finished with a project. Be willing to make changes if one of the systems isn’t working. 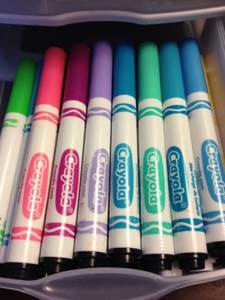 This entry was posted in Organization and tagged boys desk ideas, how to organize child's desk, organize crayons, organize kids desk, organize kids papers, organize kids room, organize markers on February 15, 2014 by Running A Household.